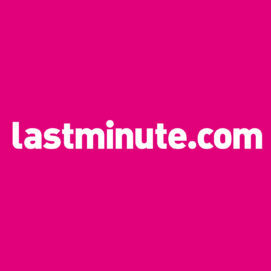 lastminute.com Set to Disrupt Marketing Industry with Launch of Playbook; Tappx Launches App-ads-txt.com to Drive Adoption for App-ads.txt; Lotame Unveils Unstacked Approach to Data Solutions for Publishers, Marketers & Agencies; Jivox Launches Program to Help Migrate Brands Using Ad Servers to a Personalised Dynamic Creative Optimisation Platform (DCO); Flashtalking Expands Global Footprint to Support Worldwide Growth; and Adform Secures Investment Highlighting Positive Future for Ad Tech. lastminute.com launched ‘Playbook’ on Wednesday (10 April) – a consultancy based on the belief that if marketing activity is core to your business, it should be inside your business. Playbook guides businesses through the complex process of in-housing their core marketing assets and capabilities – whether that’s media (buying or selling), technology, data, or content creation. Playbook helps businesses take control of their marketing and accelerate their growth, with confidence. Although Playbook is a consultancy, it’s not run by consultants. It is led by the team that built Travel People – lastminute.com’s in-house media and trading business, which increased its annual media revenues by 40% in just three years. It will harness the team’s experience of in-housing marketing and media technology, core areas of media trading, content production, and creative automation – boosting innovation and efficiencies across the entire operation. Playbook and Travel People will both be part of a new independent media company within lastminute.com, called ‘Forward’ (FWD). Alessandra Di Lorenzo will head up Forward as CEO. Lorenzo says: “Having in-housed media for lastminute.com across Europe, we’ve experienced the challenges, solved the problems, spotted the opportunities, and honed the process. We realised that we are perfectly placed to de-risk the process for other businesses, and to help move other brands forward by making their marketing activity more efficient, intelligent and relevant. Playbook will work closely with businesses to help them identify opportunities and successfully build the necessary confidence to in-house core marketing capabilities. That could mean deciding what technology providers to work with and how, building an in-house content function, monetising and making better use of data, or upskilling internal teams. Tappx, a leading ad-tech company specialising in advertising solutions for advanced digital platforms, launched on Wednesday (10 April) app-ads-txt.com, a free hosting tool to increase adoption of the new IAB standard app-ads.txt, thereby supporting the IAB mission to create a community of authorised digital advertising inventory to help fight digital advertising fraud. Tappx created the free web-hosting service app-ads-txt.com to help mobile app developers to integrate app-ads.txt without the need for a domain, website, or additional development. 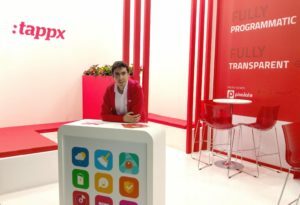 The app-ads.txt specification is an extension of the ads.txt standard to meet the requirements for applications distributed through mobile app stores, connected television app stores, or other application distribution channels. Over the course of March and April 2019, Tappx has analysed initial adoption curves for ads.txt and app-ads.txt. With hindsight, Tappx has witnessed that adoption for app-ads.txt is less than for ads.txt. Tappx research discovered that less than 8‰ (i.e. 8 per thousand) of high ranking apps across the most popular app ecosystems had adopted app-ads.txt correctly. Tappx is planning to release regular reports throughout 2019 on the uptake for app-ads.txt, which will be powered from data from app-ads-txt.com, and from its own internal research programme which will analyse thousands of apps across major global app stores. Lotame, a world-leading unstacked data solutions company that helps publishers, marketers, and agencies find new customers, increase engagement, and grow revenue through audience data, have announced new product and personnel moves that reinforce its unstacked approach. Among publishers and marketers, the need for data-driven solutions has exploded. For publishers, data powers advertising in programmatic and direct channels, across all formats and inventory types. Data can also fuel audience development, content development, and consumer marketing, enabling publishers to scale users and revenue. For marketers and agencies, data unlocks new customer engagement and acquisition opportunities through smarter and more efficient multichannel marketing. On both the sell and the buy side, the potential applications for audience data are exploding and diversifying. As a result, the demand for one-size-fits-all martech stacks is shifting in favour of specialised data solutions. In addition to its core data-management and data-exchange products, Lotame has developed data solutions for its client base, which includes some of the world’s biggest marketers, agencies, and publishers such as IBM, Universal McCann, and Tribune Publishing. As demand for specific solutions continues to grow, Lotame has been a leader in building bespoke, unstacked solutions leveraging DMP technology, data solutions, and data marketplaces. With this announcement, Lotame will now formally productise these tailored solutions, making them widely available to all new and existing clients. Jivox, a personalised digital marketing technology leader, launched on Wednesday (10 April) the Jivox Upgrade Program, a service designed to help advertisers upgrade from non-dynamic ad-serving technology to the more advanced and multifaceted, dynamic creative optimisation technology of the future. 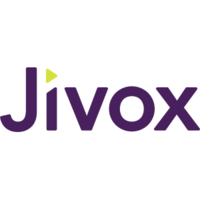 The upgrade, which is available effective immediately, will enable brands that purchase the Jivox IQ platform for dynamic creative optimisation (DCO) to also serve non-dynamic ads at no additional cost for six months. After the six-month offer period, brands can continue serving non-dynamic ads at typical non-dynamic ad-serving fees. The goal of this program is to ease the potentially challenging transition for brands from legacy ad servers to cutting-edge dynamic servers that allow brands to personalise their advertising creative to individual consumers. The Forrester Wave™: Creative Advertising Technologies, Q4 2018 report by Forrester Research, Inc. recognised Jivox, stating that the company’s “investment in customer journey analytics and optimisation should appeal to clients interested in a cohesive, orchestrated approach to creative messaging”. 8) Availability of a single anonymous user-ID for tracking, measurement, and attribution across platforms, devices, and media. Flashtalking, a leading independent ad server, has announced an expanding global footprint to support its Adobe partnership and growing worldwide business. Building on their decades of established presence in the UK, Germany, and the Netherlands, Flashtalking is extending to Paris, Milan, Madrid, and Warsaw. Flashtalking recently expanded their footprint in APAC beyond their Sydney office to include presences in Hong Kong and Singapore. As many as 50 new hires across campaign management, client services, engineering, product, sales, and strategy teams are expected in the coming weeks. Company leadership notes that this global growth reflects a year of strategic integrations and innovative product releases in 2018. Flashtalking started the year with the acquisition of the market-leading dynamic creative platform Spongecell and integrated its Ad Studio within months, as well as releasing the next generation of campaign manager with frequency-signalling capabilities. In the same period, the company introduced cross-device personalisation – an update that expanded its ‘ID Connect’ identity management product. Comprehensive partnerships announced in 2018 include Neustar, LiveRamp, Tapad, Signal, and most significantly Adobe Advertising Cloud – an integration that is a prevailing global focus for both organisations today. Adform, one of the world’s leading independent advertising technology platforms, announced GRO Capital has injected significant funds in the company as it announces new shareholders. GRO Capital will partner with existing shareholder VIA equity and Adform’s management team to continue the growth as a global independent industry-leading company. Adform reveals this strategic financing against the backdrop of global uncertainty across the advertising ecosystem. The investment enables Adform to offer a transparent alternative to the walled gardens provided by large technology players. The ad-tech company has long bucked the trend of feature growth through acquisition, instead focusing on building their entire technology platform in-house. This ground-up approach means data flows seamlessly between all parts of the platform, more efficient workflows, and consistent metrics across the platform. The ‘built as one platform’ approach has allowed Adform to define the Integrated Advertising Platform (IAP) as a new category, which directly addresses many of the critical issues facing the current digital advertising ecosystem. The Integrated Advertising Platform consists of tools supporting the full digital planning process, starting with ad serving and robust creative, followed by activation through the demand-side platform, with added targeting and insights possible through the data-management platform. Adform may soon be the only global independent ad-tech company that offers a complete buy-side proposition across trading, data, and creative. In addition to the investment, Adform also welcomes Lars Dybkjær (managing partner at GRO Capital), Lars Lunde (partner at GRO Capital), and Torben Munch (former CEO of Itiviti Group AB and COO of SimCorp A/S) to the board of directors. Munch will also take on the role of Chairman. Adform also continues its market expansion having opened offices in seven new markets in the last 12 months, including: Dubai, Australia, South Africa, Japan, Estonia, Romania, and China. To date, the company has grown to around 850 employees and operates in 27 countries, expanding to serve global clients and attract new international customers.